How are drugs or alcohol affecting your Teen? These projects are quick and easy (think: ten minutes per day), and responses are stored on our secure server. Receive positive messages with insights, inspiration, support, and even funny pictures to lighten the mood. Parent involvement is critical. Don’t worry—we’ll get the conversation going and make it painless. Need more support? We’re here. From the experts at Gobi, GobiPlus is the latest innovation in drug and alcohol prevention/intervention for teens. GobiPlus incorporates all the benefits of the Gobi program—plus extra, direct support from a licensed counselor. Are you a teen who wants more time to talk to a trusted adult outside of your family? Are you a parent who suspects your teen struggles with sharing the whole truth about their substance use? Help is available. The time is now. We believe everyone who needs it deserves access to world-class support. That’s why GobiPlus is offered for a one-time, inclusive cost of $250. Get started with GobiPlus today. The experts at Gobi may recommend GobiPlus as an optional investment based on the proven screening techniques built into the Gobi program. 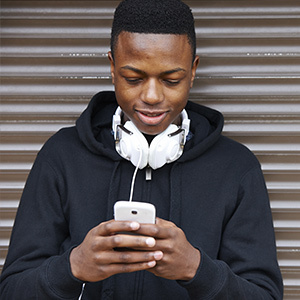 Improved communication promotes a happy healthy relationship between parents and teens. Developed strategies to deal with peer pressure and avoid high-pressure situations that lead to making healthy choices about their using. Useful tools to better understand handling pressure and stress reduce the chances of using. Goal setting around dreams and aspirations lead to long term success and a better understanding of how choices impacts relationships. Users shared their success stories. Read how Gobi helped people just like you.